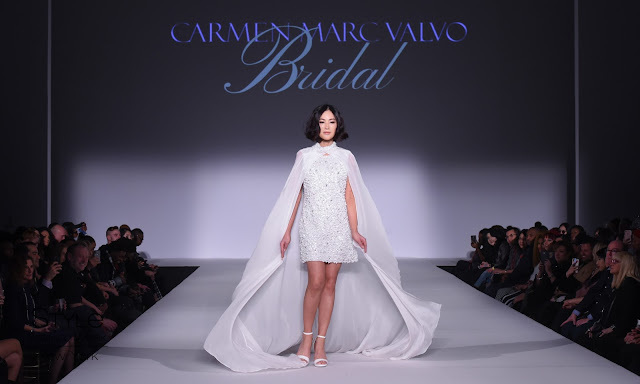 If you know a bride to be who needs some wedding inspiration when it comes to their gown check out the bridal runway collection from Designer Carmen Marc Valvo. 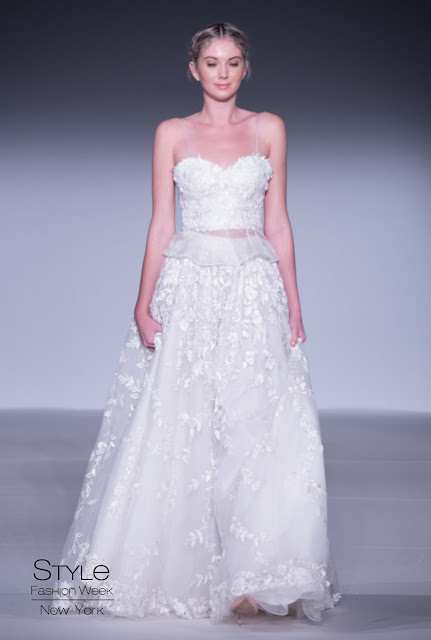 The collection featured non traditional styles that offer a strong fashion presence for walking down the aisle. 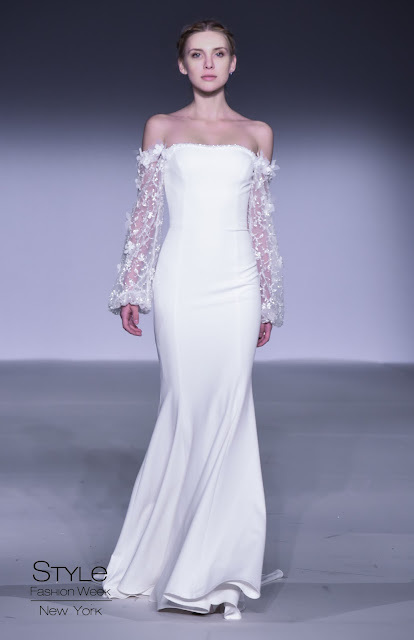 Whether you heart off the shoulder, flowing, sheer a bit of movement etc... All the designs were feminine for any bride on her special day. Below are signature styles that stood out from the collection. I didn't know they did bridal during fashion week. I like the third one! Dress four is stunning, I really like that they highlight bridal in fashion week, I had no idea! love these trends! I went wedding dress shopping and it was tons of fun to try on new styles!